From a great family, the colt had terrific presence about him in the ring, very relaxed, athletic, and exceptional buying at only $20,000. His dam, De La Vere, by Champion stallion O’Reilly, has left talented stakes placed mare Adis (Mastercraftsman), while impressive winning second dam Straight Lip (Straight Strike) has left four individual winners of 11 races including the winner of seven and Group Three placed Quick Lip. “He was a cheap horse that we had quite a bit more money for, so I’m thrilled we got a horse of his quality at the price,” said David Ellis. 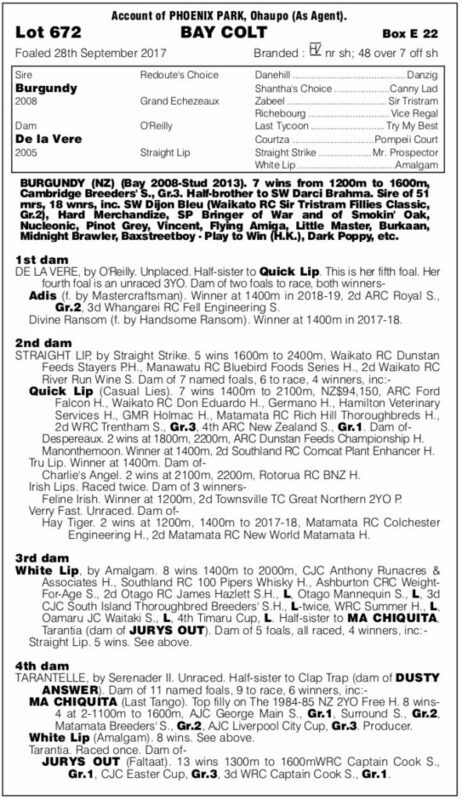 David Ellis bought sire Burgundy (Redoute’s Choice) from the Pencarrow draft at Karaka, trained by Te Akau to win five stakes races and he’s doing a fantastic job as a young stallion. 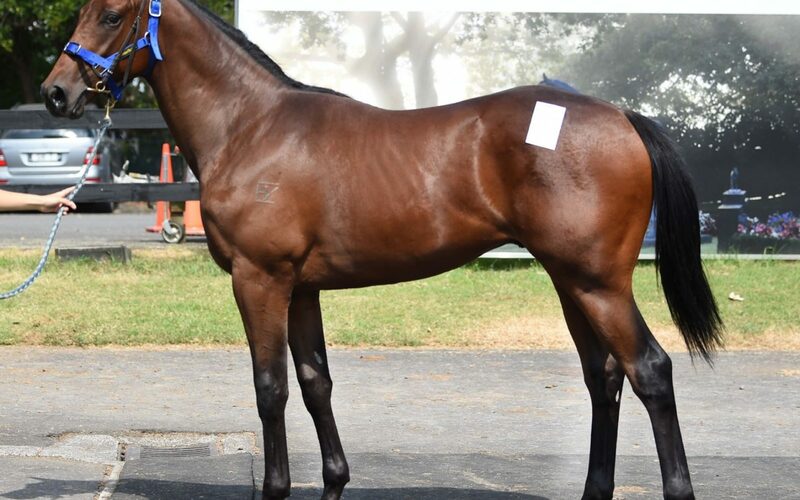 He’s sired the (New Zealand Bloodstock) Filly of the Year, Dijon Bleu; his first three two-year-olds to race all won and with the benefit of time he will produce horses that keep developing as nice three and four year olds. The colt has a beautifully balanced influence of immortal sire Northern Dancer, crossed in the fourth remove of his sire lines.